Carbon Footprints of Food: A Guide to More Sustainable Food Choices? Along with the rise of food labels and certifications such as USDA Organic and Free Range has come a push for reporting the carbon emissions of food on packages. The idea is that in announcing the footprint of each food item, consumers will make more sustainable food choices and help to change a broken food system. However, it is unclear if we can really escape the industrial food complex which is wrapped up in the fossil fuel system. A study by Matthew J. Mariola (2008) examines the reach of the industrial complex, specifically looking at local food. He argues that there are four assumptions consumers make about local food and energy use: (i) the connection between a food system and energy use is usually made only in reference to the fuel consumed during transportation, not the fuel embodied in the vehicles themselves or the energy consumed by human beings involved in the labor, (ii) the importance of volume of food is often ignored, (iii) the manner in which a consumer comes to purchase the food is avoided, and (iv) the act of consumption of local food is assumed to change the entire food system (Mariola, 2008). 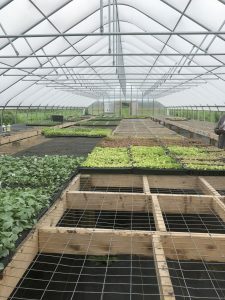 The conclusion of his article is that there is both a lack of local infrastructure to make local food sustainable in terms of energy and that the entire food system is inextricably linked to the fossil fuel system, so much so that any consumer choice cannot change the level of sustainability. A less theoretical study by Christine Wallgren compares the energy use for transport to a farmer’s market in Sweden to energy use to a conventional food system. The major finding of the study is that there is no significant difference in the level of energy use in transport to the farmer’s market compared to the conventional food system (Wallgren, 2006). This may be because travel to the farmer’s market involves multiple trips for less volume of food compared to the conventional food system. Additionally, local food production does not imply less energy usage on the production side, nor does it imply that the consumer will be sustainable in attending the farmer’s market. All of these factors point at the uncertainty in tracking the carbon footprints of food either based on Life Cycle Assessments or energy usage in transportation. While the local food movement touts the increased sustainability of “going local,” there is no empirical data that backs up claims that local has a lower carbon footprint. What local food systems do contribute to sustainability are providing fresh food to more people, keeping money in the local economy, and fostering closer relationships between producers and consumers (Mariola, 2008). A questionable claim made in the literature is that local food creates a more equitable marketplace by “rejecting the hegemony of the conventional food system” (Mariola, 2008). However, what is clear is that whether choosing local or conventional food, our food system is linked to the fossil fuel system and it is nearly impossible to effectively reduce our carbon footprints at the market. Mariola, M. J., 2008. The local industrial food complex? Questioning the link between local foods and energy use. Agric. Hum. Values. 25, 193-196. Wallgren, C., 2006. Local or global food markets: a comparison of energy use for transport. Local Environ. 11, 233-251.